I learned to never disagree with my dad. For reasons I’ve never fully understood, the few times that I expressed a contrary point of view — when I was old enough to feel confident that I had something to say — he physically attacked me. He never hurt me, because I was big enough to deflect him. Maybe he felt that as the father, his intelligence shouldn’t be challenged by his son. Or it could have been that I wasn’t very tactful. But I learned to keep my opinions to myself. And his reactions created a distance between us that was never fully bridged. When you and your teenager clash, it may not be that he or she wants something you consider unacceptable. It may simply be that the two of you have different opinions about something. The way most of us learned to deal with disagreements is to argue or debate—to prove that we’re right. If you’re like most parents, you believe your opinions are superior to those of your child, that your adult point of view is better informed, backed by more education and based on more life experience. Questioning one of your long-held beliefs could mean questioning a whole set of related beliefs. Being confronted with an opposing opinion could make you to feel defensive. Or you may sense that your child’s opinions could lead to trouble. This is why winning an argument with your kid can feel strangely like losing. There’s a better way to deal with disagreements. It’s called dialogue — a way for people who have different opinions to share them in order to learn how each person thinks, without trying to prove the other person wrong. Instead of debating, you engage in a conversation simply to learn what the other believes, and why — and to share your own thoughts on the issue. The spirit of dialogue is curiosity—keeping an open mind to learn why people think the way they do. Dialogue is a structured way of examining issues from several points of view. Instead of defending your point of view, you openly consider whether there may be more to the issue than you’ve already considered. 1. State your own opinion. Acknowledge that your opinion is simply an opinion. This all-important step is to set aside the thought, “I know I’m right.” Your opinions are important because they’re the framework upon which you base most of your decisions. But opinions aren’t final truths. Instead, they’re always tentative conclusions based on available facts and assumptions. Since everyone doesn’t share the same opinions, some of them may be founded on better facts and assumptions than others. Therefore, you stand to gain by considering the facts, assumptions, and conclusions of others. I see we don’t agree on this. That’s fine. Would you be open to our exchanging ideas about it? I don’t want to argue or try to convince you that I’m right. I’d just like to explain where I’m coming from and learn about your point of view. 3. Explain your reasoning. While personal feelings, instinct and intuition can guide your decision-making, it’s important to ask whether your opinion makes sense. Is your opinion well supported by facts? Is your reasoning sound? Now, encourage your child to examine your facts and reasoning. To promote dialogue ask your child what he or she thinks about the opinions, assumptions, facts and reasoning you’ve shared. Again, listen to learn what’s going on in your child’s mind. Resist the impulse to defend your opinions. Just give their evaluation consideration. That’s where I’m coming from anyway. Do you have any thoughts about what I just said? Now it’s your child’s turn to open up about his or her ideas – and time for you to listen. Are you willing to keep an open mind? Or are you so opposed to your teen’s take on the issue that you feel compelled to lecture or prove him wrong? Be prepared to listen to understand what your child will tell you. If you feel defensive or other negative reactions, set them aside, so you can learn what’s going on in your child’s head. 1. Their opinions. Try to discover what your child believes. If you hear something you didn’t expect or something that conflicts with your own opinion, be careful not to get defensive. Well, now you know where I’m coming from. What’s your opinion? 2. Facts and assumptions on which they base these opinions. When you hear an opinion, ask how the person came to that opinion. If they offer evidence, ask if they have more. Consider whether this is sufficient data from which to draw a conclusion. Why do you think that way? What evidence has led you to draw that conclusion? 3. Their reasoning. As you listen, you’ll pick up on the reasoning behind their arguments. Summarize this reasoning to be sure you understand it. Are you saying that based on…you’ve concluded that…? As your child explains his or her point of view, you should listen to the best of your ability. 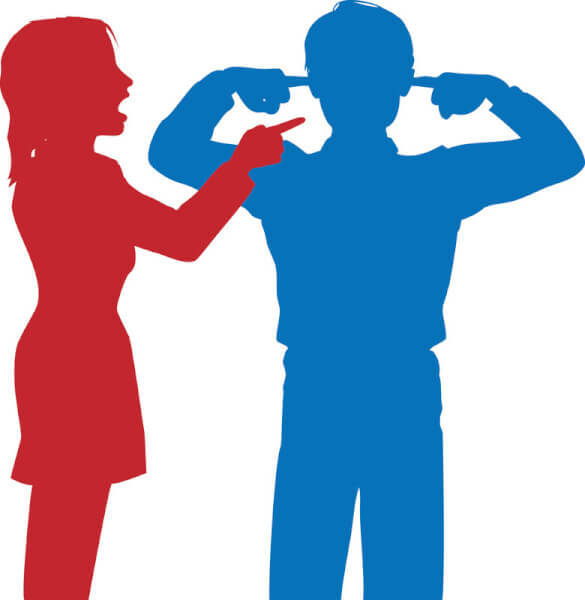 In the above example, the parent shared his or her point of view first. It’s equally effective to begin by asking about the child’s point of view. The purpose of dialogue is not to expose the flaws in your child’s opinions or to teach your child a better way of thinking. You do it to discover what the two of you believe—and why. Let your child decide what to do with what you shared. As for what they share, are you humble enough to consider the possibility of learning something new from your child? During dialogue it’s always possible to learn something you can use in your own thinking. When you share ideas with your child, you deal with them on an adult-to-adult basis. Only good things come from taking this approach. You begin to find out who they are and who they’re becoming. And they learn more about you, while discovering that it’s not frustrating to be honest with you. They discover what opinions really are and the possibility of adopting more valid opinions. This is a far more valuable outcome than proving you’re right and your child is wrong. More truth-telling about parent-teen communication. Improving communication skills to prepare for adolescence is one of the topi s of Chapter 11 of my new book: How Your Teen Can Grow a Smarter Brain.